Pie Crusts…Let Them Eat Pie! It is a part of my month that makes me happy. I mean, it’s pie! I’m feeling a tad anxious because I usually have my pie crusts – all 14 (give or take a few) – made and in the freezer by now. Not so this year. Therefore, I have deemed today: Pie Crust Day…it’s really not a bad way to spend the day if you ask me. So what have I been up to instead of making pie dough? Glad you asked! I baked several types of rolls and put them in the freezer for Thanksgiving. There is homemade sourdough for my stuffing and sourdough waffles (for breakfasts) in there, too. My stocks (vegetable and turkey) have joined the freezer party. Later today, so will my pie crusts. My house looks fall festive, and I even have my dining room table centerpiece finished. I’m not doing fresh flowers this year…changing it up with some gourds and candles and leaves instead. So although I do not have crusts stowed away, I am ahead of schedule in other ways. Oh, and that backyard project (remember the one we started in JUNE?! The one that was only supposed to take about 4 weeks? That project?) is finally complete minus a few minor details which are being handled this morning. Yay! The backyard needed some Love, so I added a bit of power-washing the pool decking and furniture and cushions to the mix. And while doing all that I realized it was missing something. So I planted violas and kale to help bring life – and color – into the backyard. I must say, I am very pleased…it really looks nice!!! My husband and I still need to put the furniture back in its place and hang some lights (shh, I haven’t told him that part about the lights yet…our little secret, ok? ), but I am feeling pretty good about how it has all turned out. And speaking of finished work, exactly what does one do when one finishes a huge project-that-took-longer-than-anticipated-by-almost-5-months? I don’t know about anyone else, but we began ANOTHER project. Also in the yard, but the side yard this time. 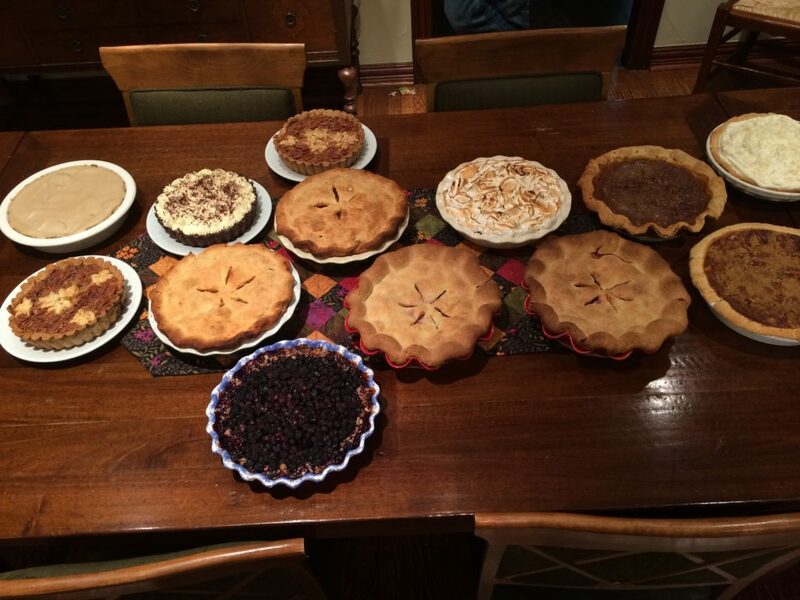 Yes, I really am that crazy (you thought it was only because I make 14 pies at Thanksgiving. Ha! I showed you!!). However, this one is much smaller. It should be finished by the end of this week. We are installing a new patio, which is where we are planning to move our gas grill and Big Green Egg. It will be a much more convenient location. The new patio will also give us a little extra room on Pie Night. It has been warmer than usual for this time of year, so I imagine some of the crowd will want to be outside that night. Next > Fruitcake Season Has Arrived!